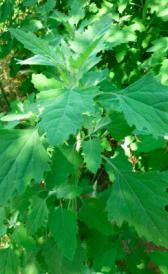 Raw lambsquarters: High in calcium, vitamin c and vitamin a and low in food energy, total lipid and total sugars. Raw sprouted lentils: High in folate, total, food folate and folate and low in total lipid, total dietary fiber and total sugars. Raw green leaf lettuce: Raw green leaf lettuce is high vitamin a, beta-carotene and lutein+zeazanthin. On the other hand. is low in food energy, protein and total lipid. Raw lotus root: This food is low in total lipid, total sugars and sodium but Raw lotus root has vitamin c in high quantity. Raw red leaf lettuce: Raw red leaf lettuce is high vitamin a, beta-carotene and lutein+zeazanthin. On the other hand. is low in food energy, protein and total lipid. Raw hawaii mountain yam: Raw hawaii mountain yam is low in protein, total lipid and total dietary fiber. Raw white mushrooms: High in pantothenic acid and low in food energy, total lipid and carbohydrate. Raw portabella mushrooms: In this food there are some nutrients that are found in low quantity, for example food energy, protein and total lipid. Dried shiitake mushrooms: High in ash, carbohydrate and total dietary fiber and low in water, total lipid and calcium. Raw mustard greens: This food is low in food energy, total lipid and carbohydrate but Raw mustard greens has vitamin c, folate, total and food folate in high quantity. 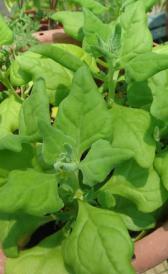 Raw new Zealand spinach: High in vitamin a and vitamin k and low in food energy, protein and total lipid. Raw okra: This food is low in food energy, protein and total lipid but Raw okra has folate, total and food folate in high quantity. Unprepared frozen okra: High in folate, total, food folate and folate and low in food energy, protein and total lipid. Raw onions: Raw onions is low in food energy, protein and total lipid. Dehydrated flakes onions: High in carbohydrate, total sugars and calcium and low in water, total lipid and sodium. Canned onions: Canned onions is low in food energy, protein and total lipid. Sauteed yellow onions: This food is low in protein, ash and total sugars but Sauteed yellow onions has polyunsaturated fatty acids in high quantity. Raw welsh onions: Raw welsh onions is high vitamin k. On the other hand. is low in food energy, protein and total lipid. Raw sweet onions: Raw sweet onions is low in food energy, protein and total lipid. Fresh parsley: Fresh parsley is high iron, vitamin c and folate, total. On the other hand. is low in food energy, total lipid and total sugars. 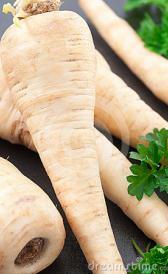 Raw parsnips: In this food there are some nutrients that are found in low quantity, for example protein, total lipid and iron. Raw edible-podded peas: High in vitamin c and low in food energy, total lipid and sodium. Raw green peas: High in vitamin c and lutein+zeazanthin and low in total lipid, sodium and selenium. Canned peas and onions: Canned peas and onions is low in total lipid, total sugars and calcium. Raw green sweet peppers: Raw green sweet peppers is high vitamin c. On the other hand. is low in food energy, protein and total lipid. Poi: In this food there are some nutrients that are found in low quantity, for example protein, total lipid and total dietary fiber. Raw flesh and skin potato: In this food there are some nutrients that are found in low quantity, for example protein, total lipid and total sugars. Skin raw potatoes: In food has a low quantity of total lipid, total sugars and sodium. Canned potatoes: In food has a low quantity of food energy, protein and total lipid. Potato flour: Potato flour is high carbohydrate, potassium and vitamin b6. On the other hand. is low in water, total lipid and sodium.